Not that many years ago a CCTV system was based around a 35mm film camera that took photos when triggered the film would then have to be sent away to a photo lab for processing, then came the electronic camera and the time lapse video recorder that recorded moving images onto VHS tape this was a huge development in the CCTV market as now you could replay the movie and obtain images instantly however this system needed a lot of maintenance and because the images were recorded in analogue format they were still not of very good quality. The next development was the DV-R (digital video recorder) that recorded analogue movies to a computer hard drive because of the large file size the movie had to be electronically compressed to make it fit onto the hard drive and then decompressed when the customer wanted to view the movie, some recorders did this very well and the picture quality was good while some done it badly and picture quality was poor however this system was a huge improvement over the time lapse video recorder that it soon took over the CCTV market and in a very short time the time lapse recorder was history. As the digital camera did to film a few years back the digital security camera (ip camera) and DV-R has done to the CCTV industry and my guess is that the analogue security camera will be history in a very short time as now we have a true digital system, picture quality is outstanding and features endless. 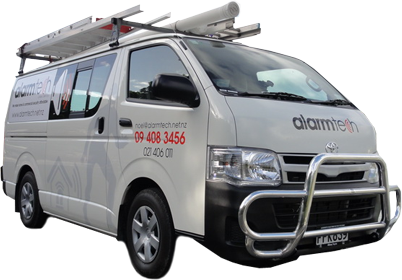 Alarmtech 2008 Ltd is proud to have been involved and worked in all of the above developments in one way or the other and look forward to future developments in technology and to be able to bring them to our customers in the Far North. If you are considering a new CCTV system or upgrading your existing system please give us a call.